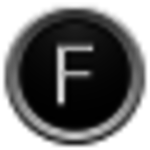 I have packaged FocusWriter 1.5.6. Could you give me access to update it on the repo? Thanks. very good, no nonsense editor. The additions for real writers are good. Like sessions, and historical statistics. No distractions while writing.